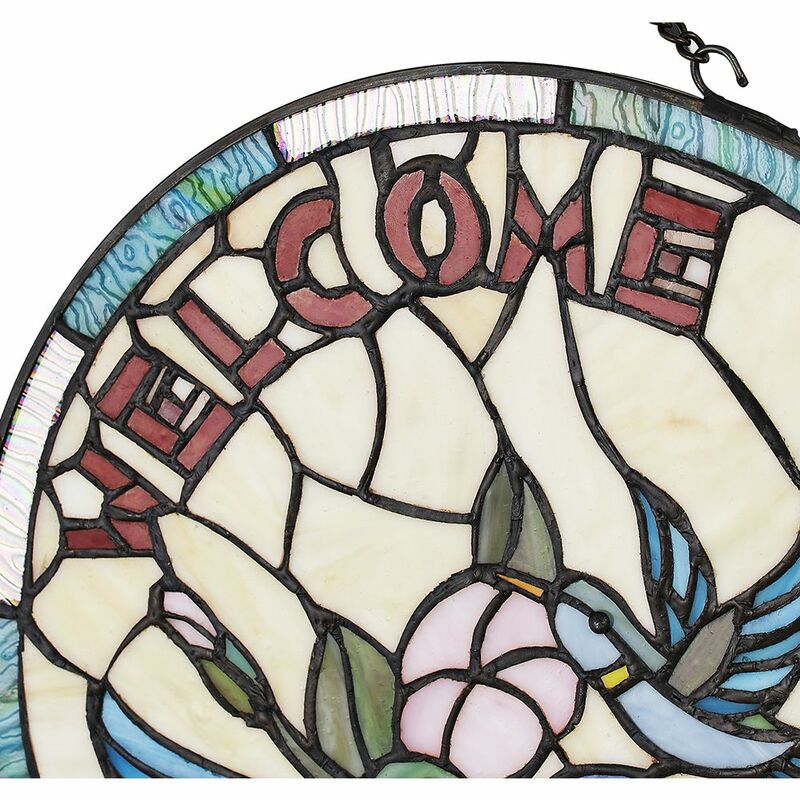 Beautifully hand crafted circular stained glass panel with wording "WELCOME" in red. 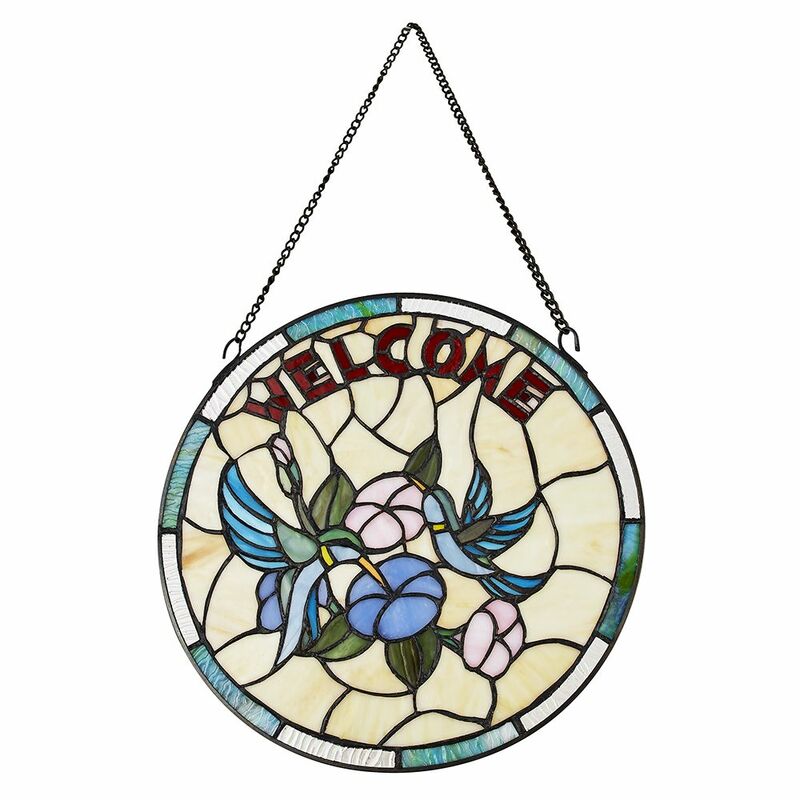 Features beautiful decor including two blue birds, pink roses and green leaf detail. 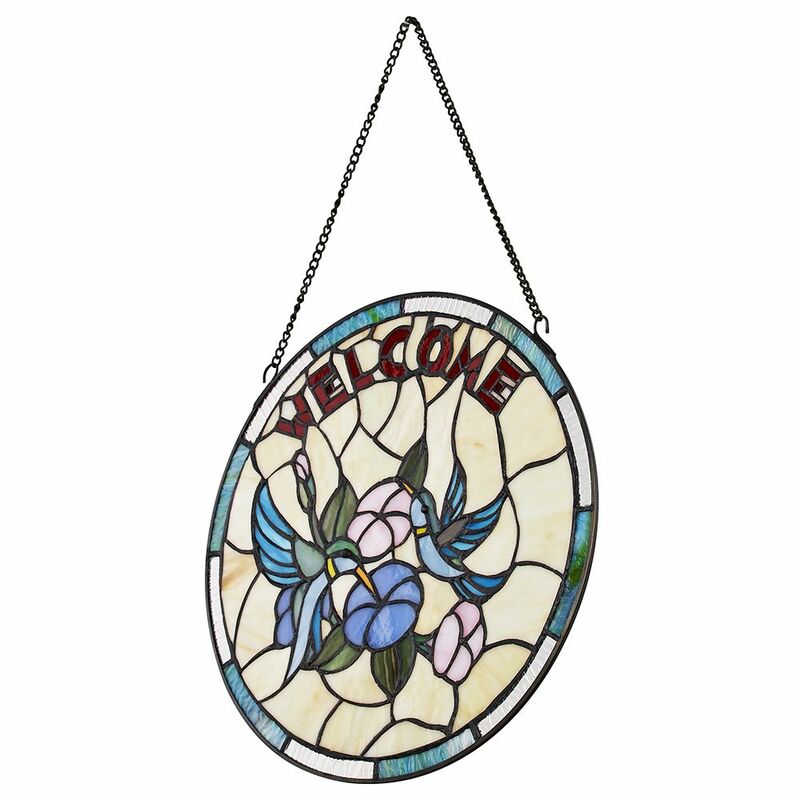 Product measurements - Height: 30cm, Length: 30cm, Width: 2cm. Complete with chain in order to the panel wherever you like. 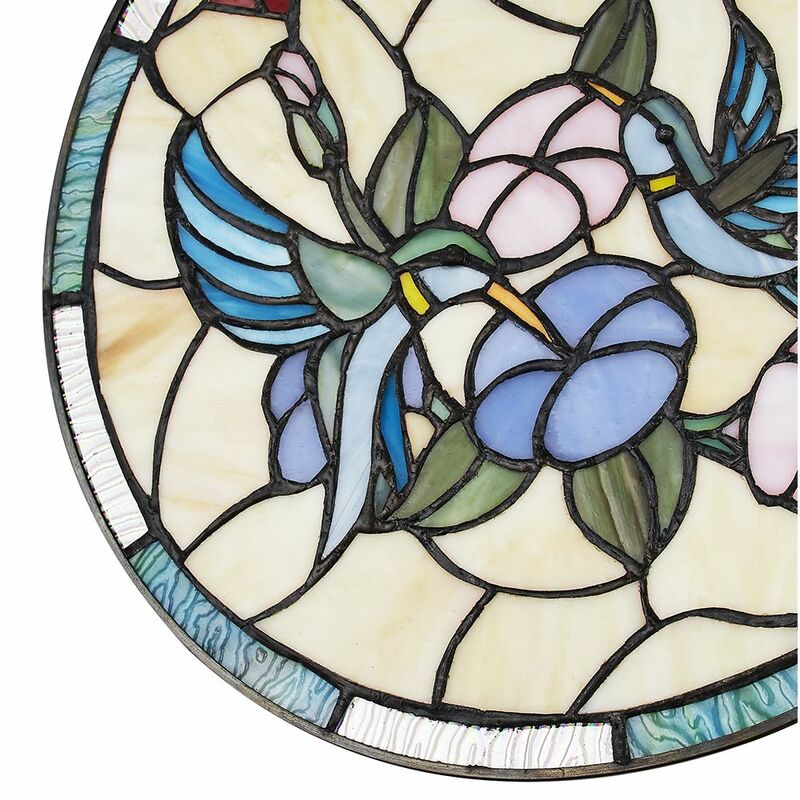 This piece looks stunning when light shines through, ideally to be hung in front of a window.